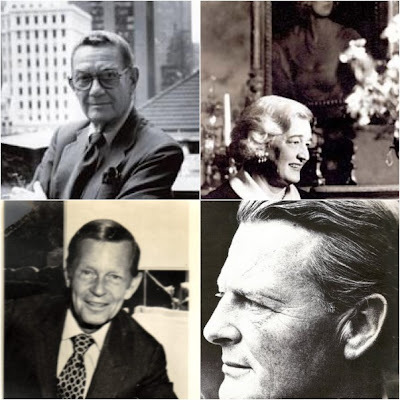 It goes without saying that many people have long been fascinated with Jackie Onassis- no surprise there. But Jackie's sister Lee Radziwill is also a style icon, albeit one who still stands in the shadow of her more famous sister. Certainly Radziwill is known for her keen fashion sense, but she seems to be quite confident in how she chooses to live (I'm talking about the actual interiors of her homes- NOT her personal life!) . 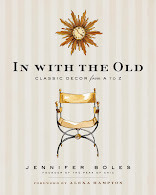 Through the years, her homes seemed to reflect the zeitgeist of interior design. 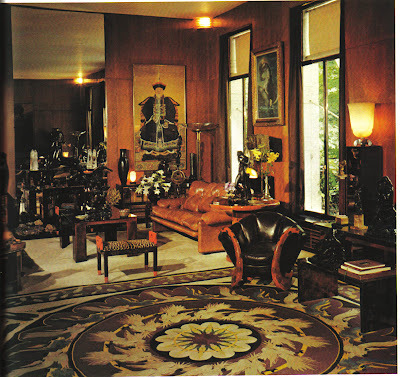 Remember her wonderful Renzo Mongiardino designed drawing room from the 1960s? That said, her interiors have also had a classic quality to them. Many photos of her homes are hard to date which to me is the ultimate compliment. 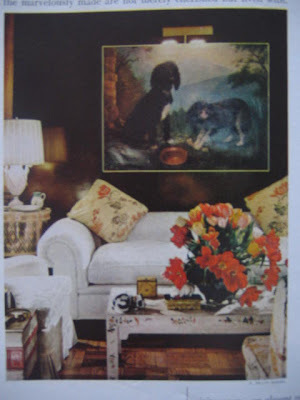 I've found some images of both her country home in England as well as her Fifth Avenue apartment. 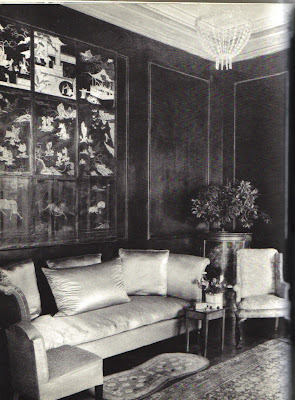 Radziwill was a decorator for a time, so I believe she was responsible for her New York interiors. I'm not sure who decorated her English country house- possibly Renzo Mongiardino? If anyone can clarify, please do so! 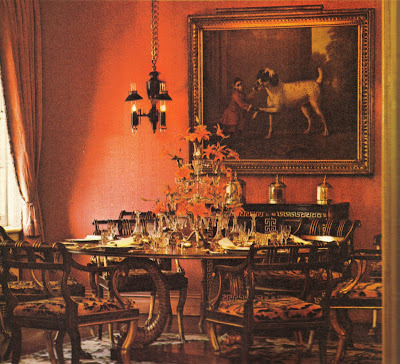 The dining room of Radziwill's Fifth Avenue apartment, c. mid-1970s. The walls were covered in silk moire. 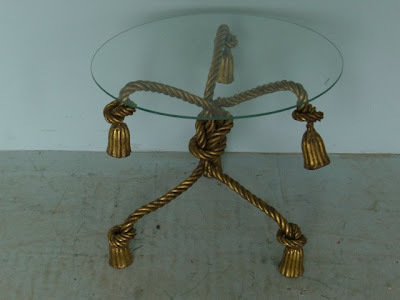 Don't you think the Regency dining chairs and pedestal table are stunning? 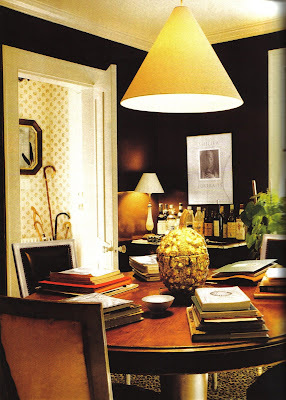 I think this is one of my favorite rooms in Radziwill's New York apartment. 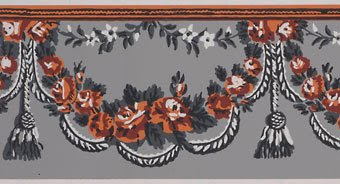 The walls of the library were covered in blue-gray fabric, which was also used for the curtains. 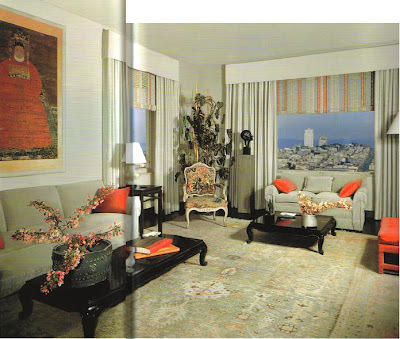 You can't really see any delineation between the window treatments and the walls. 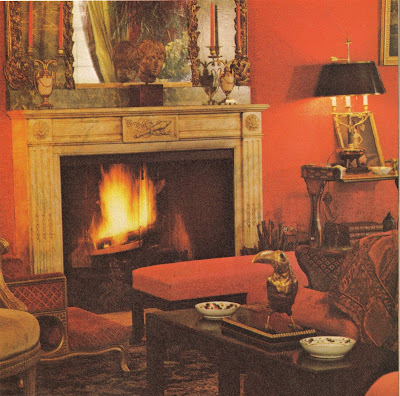 The drawing room was also a vision in red. 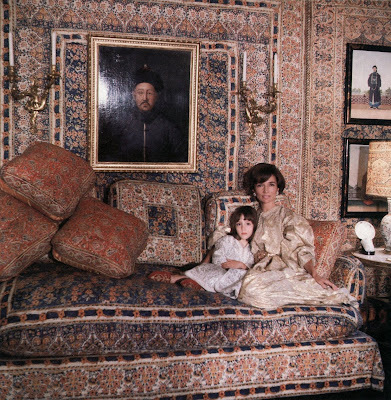 Image above: That famous photograph of Radziwill and her daughter in their Mongiardino designed drawing room. After going through some old clippings recently, I realized that there are a few things that always seem to catch my eye. 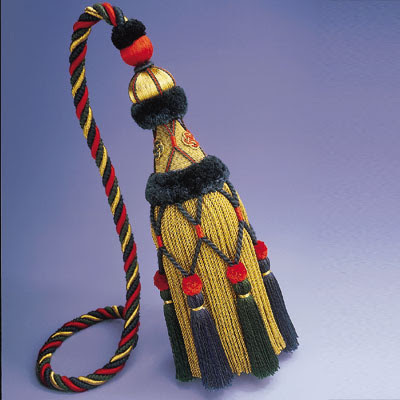 And one thing that stops my magazine page- turning cold is the sight of a tassel. 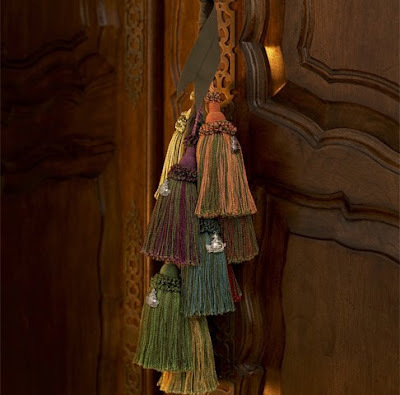 Truly, I haven't figured out why because I only have one tassel in my home. 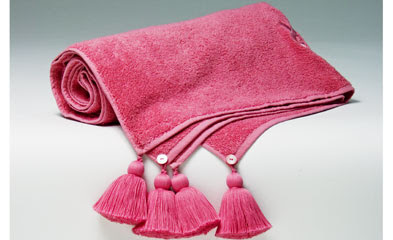 (Believe it or not, I do try to keep the embellishments to a minimum!) Still, they're fun and a bit frivolous. Here's a brief roundup of these little flights of fancy. 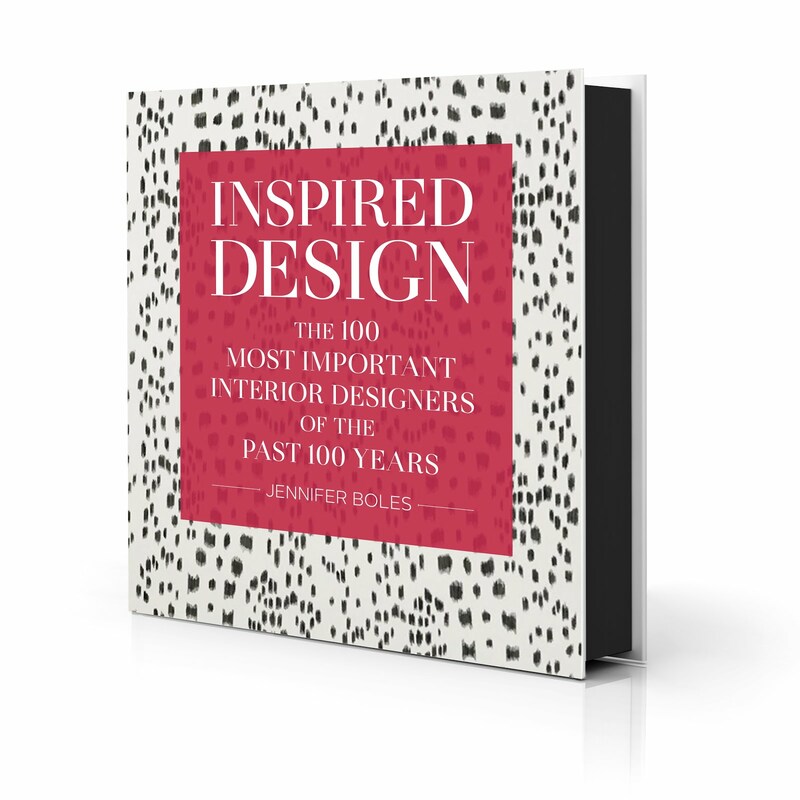 Have you ever noticed how many designers have made their mark on the design world by creating gorgeous brown rooms? And not just any brown, but a deep, dark, and sometimes glossy brown. 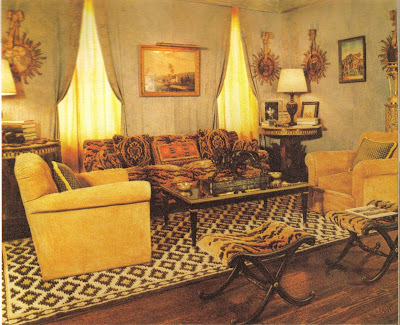 David Hicks, Billy Baldwin, and Vay Day Truex are just a few of the designers who have created stunning (and legendary) brown rooms- rooms that still serve as inspiration today. But what I want to know is who jumped on the brown bandwagon first. And who influenced who? And the cycle continues... 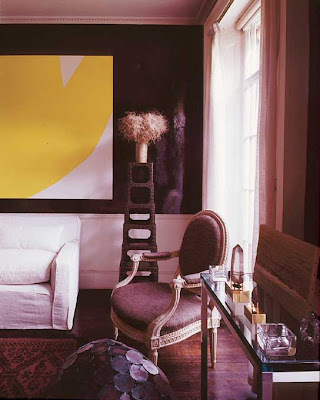 Miles Redd chose glossy brown for one of his early projects. He has cited Hadley as having an impact on his style, so are we seeing that here? 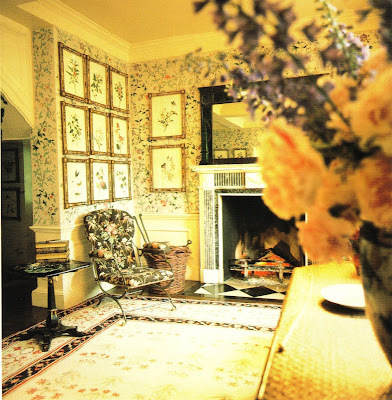 The English are masters of the eccentric look (I'm referring specifically to interiors, but many Brits have proven to be eccentric dressers too). And despite the notion of the British "stiff upper lip", they can also be an exuberant people. British history is filled with grand homes and estates that displayed a vibrancy and an enthusiasm that was uniquely their own. Whereas our American ancestors might have been tempered by their Puritan roots, many members of the British upper class did not seem constrained by such humility. 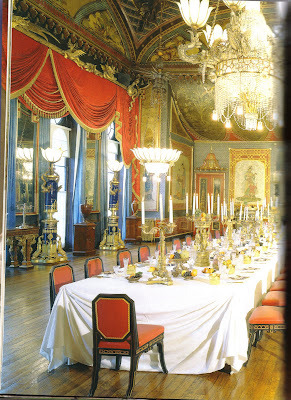 To me, one of the most exuberant British houses was Brighton Pavilion, that wild and lavish fantasy commissioned by George IV while he was Prince Regent. While many of the Prince Regent's contemporaries ridiculed the Pavilion (and let's face it- many of the rooms are a bit, well, should we say tacky? ), perhaps old George had the last laugh. The Pavilion is still standing, still beckoning visitors, and continues to influence interiors, albeit on a smaller scale, around the world. 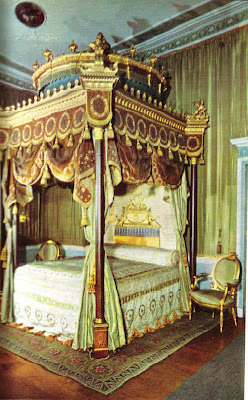 The Peacock Bedroom at Sezincote, the early 19th century home designed by Samuel Pepys Cockerell in the Mughal style. The Gallery at Syon House, home of the Duke of Northumberland. 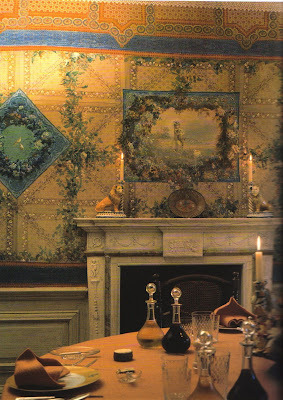 Robert Adam was responsible for the glorious interiors of the house. 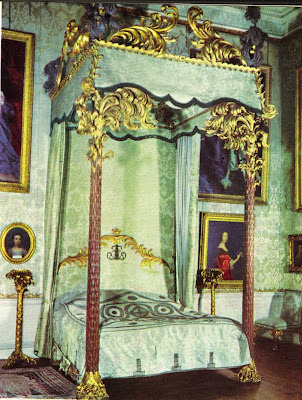 The State Bedchamber at Kedleston Hall. The bed was built in the late 1760s. Recognize this room? 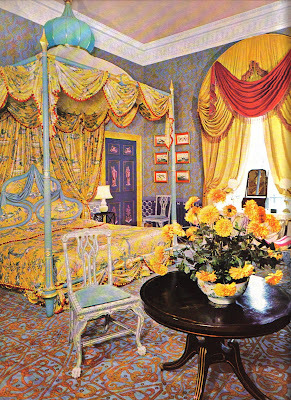 It's the Gothic bedroom at Haseley Court, Nancy Lancaster's country home. 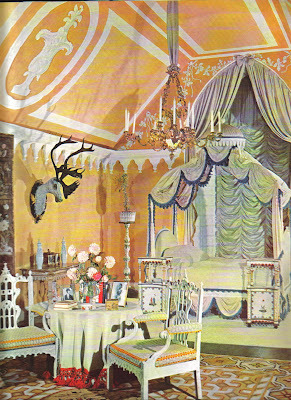 The bedroom was a collaborative effort between Lancaster and John Fowler. 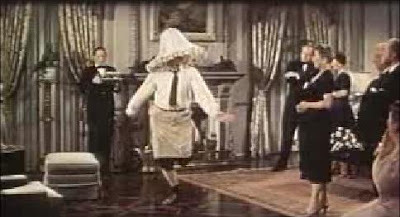 Before I left home for college, my mother warned me about mixed drinks and alcoholic punches- too much and I might end up with a lampshade on my head. Well, I heeded Mother's advice and thankfully got through school without any major embarrassments. But after seeing these lamps by mat&jewski, I say bring on the Hunch Punch! 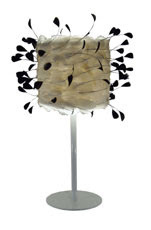 I'm ready to wear these lampshades. 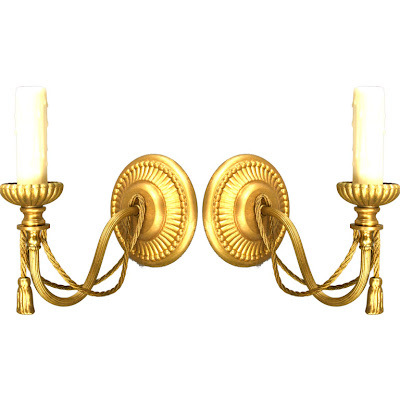 Now, I'm not really a fan of flouncy or cutesy lamps and shades. 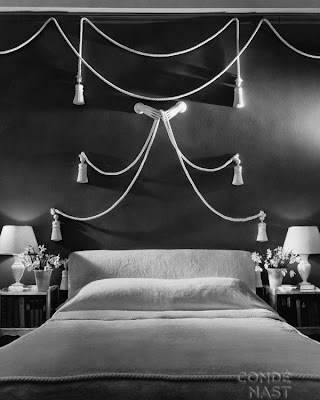 And despite the whimsy of the mat&jewski lamps, they unfortunately would not work in my home. 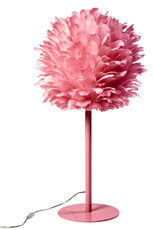 But I just couldn't help but think of those great feathered hats that women used to wear. 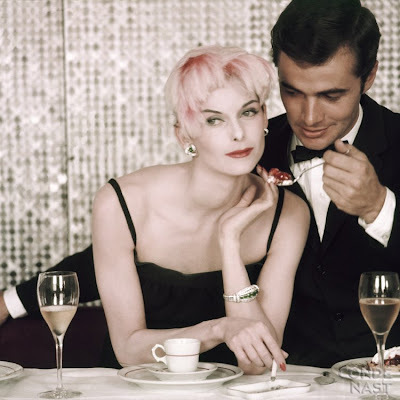 You know, women like Doris Day, Audrey Hepburn, and the like. 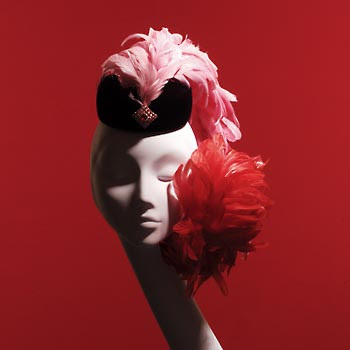 Maybe it's time for feathered millinery to make a comeback. 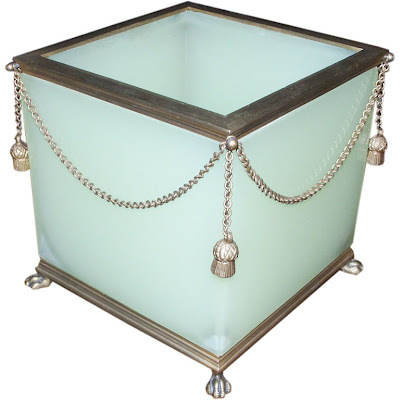 And you can start with one of these lamps at your next party. Just don't say that my mother and I didn't warn you about the punch. 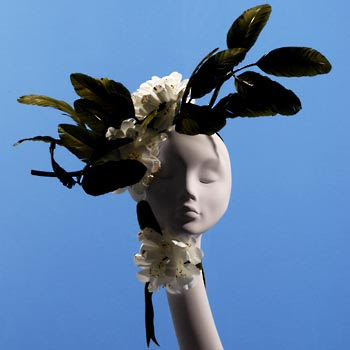 All lamps by mat&jewski; vintage fashion photos from Conde Nast Archives; images of mannequins with feathered hats by Stephen Jones. 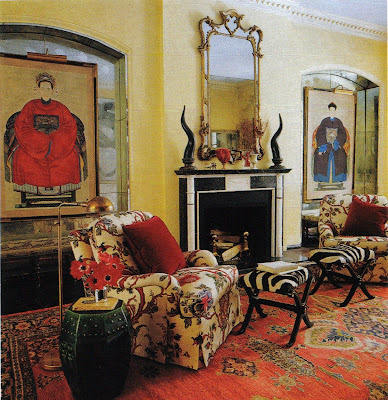 Have you ever noticed how Chinese ancestral portraits seem to grace many stylish interiors? Once I spotted them in one interior, it seemed that I started to see them everywhere. Of course, the paintings found in the interiors below were used strictly for decorative purposes, and I can certainly see why. There is something very dignified and regal about these portraits, and they also seem to add a little touch of Eastern exoticism to their surroundings. 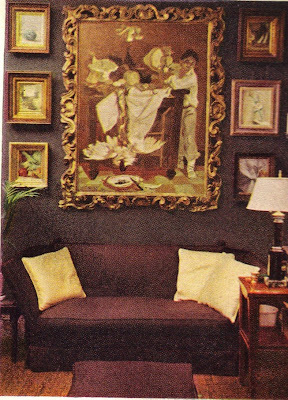 But what we shouldn't forget is that the purpose of these paintings was anything but decorative. 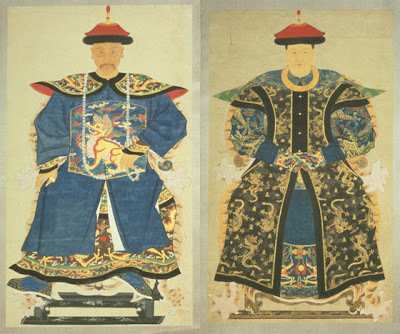 Ancestral portraits were long an important part of a Chinese culture which revered and worshipped family ancestry. From what I've read, it seems that these paintings were commissioned by family members not just out of respect for their forebears, but also out of fear. A disgruntled ancestor might be tempted to become a ghost and make life difficult for the living. In order to prevent this from happening, and to elicit good will and fortune, the portraits were worshipped by family members either in their homes or at family temples. Ceremonies, which at times included offerings to the ancestors as well as kowtowing, were often performed before these portraits. 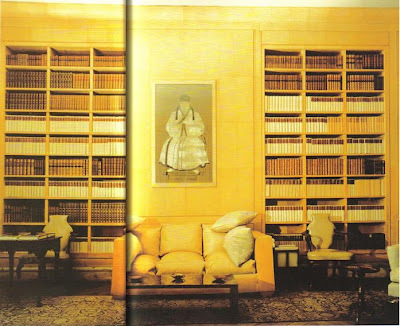 So with this in mind, here are a few of the interiors that I have found which display these ancestral portraits. In a way, it seems that even today these portraits still command respect and awe, much as they did centuries ago. 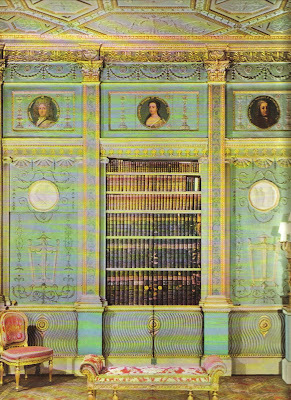 Frances Elkins used them in a few of her projects, including one of her most famous: the library of Mr. and Mrs. Kersey Coates Reed. 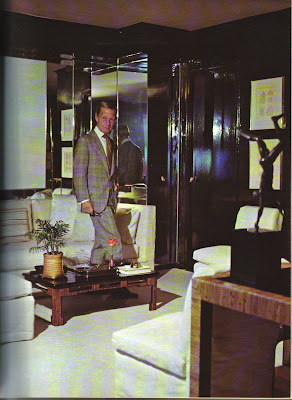 I think the portrait looks smashing against the Hermes goatskin paneled wall. 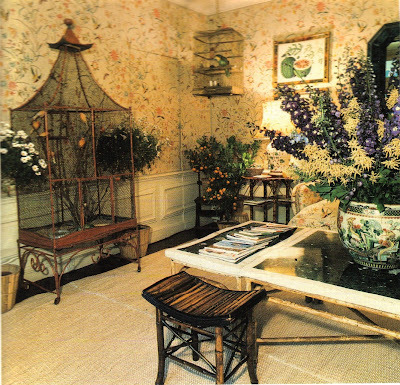 Jean-Michel Frank tried his hand at stage design in this set from "Les Fleurs des pois". 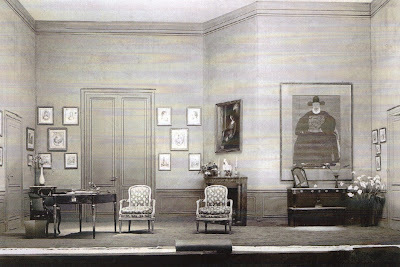 The Chinese portrait rather dominates the set. 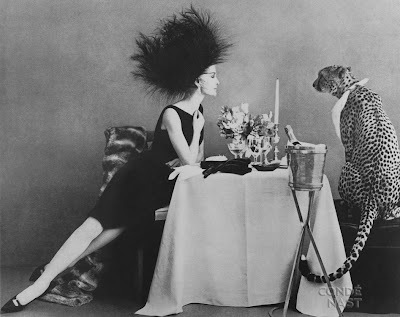 Yves Saint Laurent was obviously a fan. 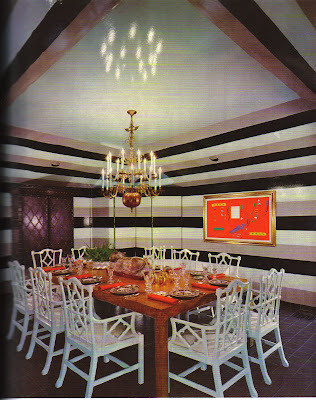 As my week has turned out to be a bit crazy, I decided to dispense with a lot of the chit chat and simply show some photos of big and bold striped walls. 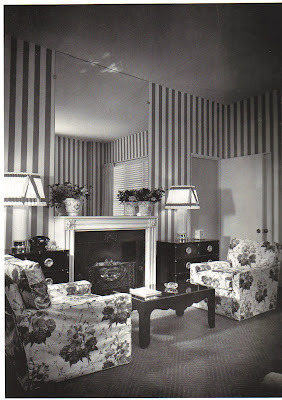 I think I first fell in love with stripes after seeing some old photos of Dorothy Draper's work (that woman certainly influenced me and legions of others!). I like stripes of all kinds, but particularly a wide stripe in a graphic color combination- think green and white, red and white, and of course black and white. 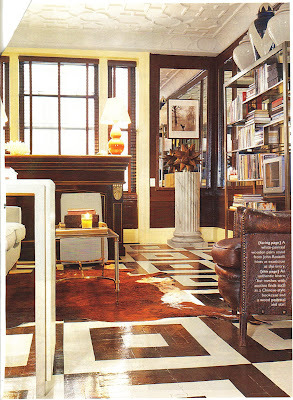 Of course, with striped walls it's advisable to keep the rest of the room a bit simple. Too many prints fighting each other is guaranteed to give you a headache. 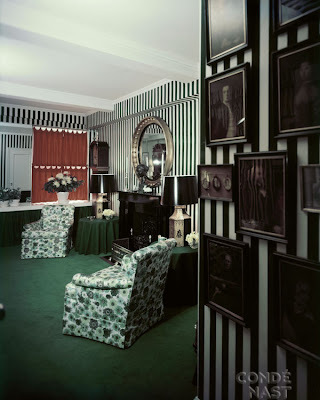 That said, you can introduce some pattern into a striped room. Just look at Draper's florals and Redd's animal print below. 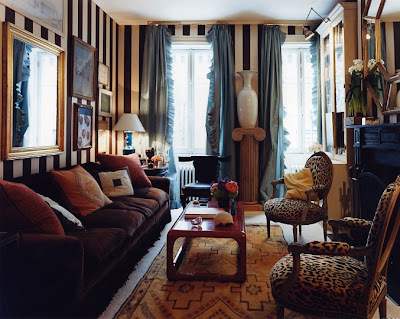 A striped room by Anne Coyle. 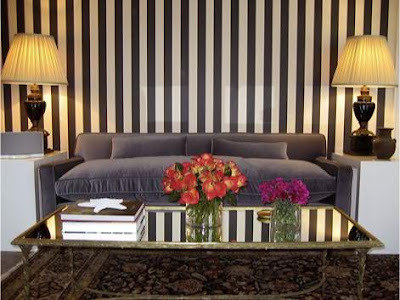 I love how the stripes are reflected in the mirrored cocktail table. How smashing is this bar in the home of designer Sam Blount? 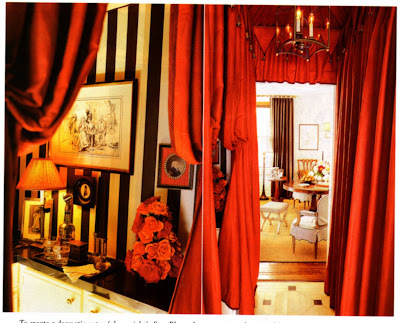 The black and white stripes mixed with red curtains and flowers is bold and snazzy. Photo at top: A Dorothy Draper designed room at the Arrowhead Springs resort. Unfortunately, I don't know if the stripes are pink and white or blue and white.